After each meal or nap your puppy will need to potty...so make sure you take your dog out side. If you want your puppy to potty on a potty pad the same principals apply. Very often puppies want to potty twice in a row. Lots of dog owners don't understand why their puppies will potty inside just after being taken to potty outside. If you are making use of a training pad you can slowly start moving it towards the outside door, but be sure to show your puppy where you have placed it so that he knows where it is at all times. 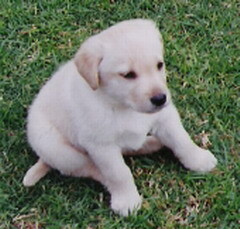 A puppy should not be left untended, because this is when mistakes happen. They wake up and within a few seconds they will potty without you even knowing he is awake. Be very quick to take your puppy outside and praise him for doing well. If your puppy starts to circle, sniff around or squad he is getting ready to potty. I like keeping a puppy in one room for a while and not letting them roam all over in the house, not only can it be scary for them it also helps with controlling potty training. It's off course important to choose a room with no carpets. Dogs like carpets, it has a wonderful absorbency effect as well as very often has a natural smell to it. If you missed a potty break it will set you back in potty training. You have to be present and consistent at all times. Mistakes will happen, do not reprimand your puppy for eliminating in the house by yelling or hitting him as it will not at all help with forming your bond with your puppy and he will not learn what you want him to learn. Never rub his nose in it, he will only learn to hide it from you as he will be scared of doing it in front of you but will still do it. Instead GENTLY scoop him up if you caught him in the act and take him outside and wait for him to potty so that you can praise him for doing so. This will be a lot more positive an he will learn how to be a good pet much more quickly. If you only found the evidence, well then better luck next time as it is not the puppies fault. So the key is to be there and be alert as well as consistent. When crate training your puppy remember that for each month your puppy is old is the amount of time his bladder can hold. So a 1 month old puppy can hold for an hour and no more Never ask your dog to hold for longer as he will fail and will set potty training way back. A grown up dog can hold for no longer then 8 hours. 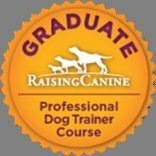 Back to Puppy training page.